This is a component used to protect the compressor from liquid flood back. 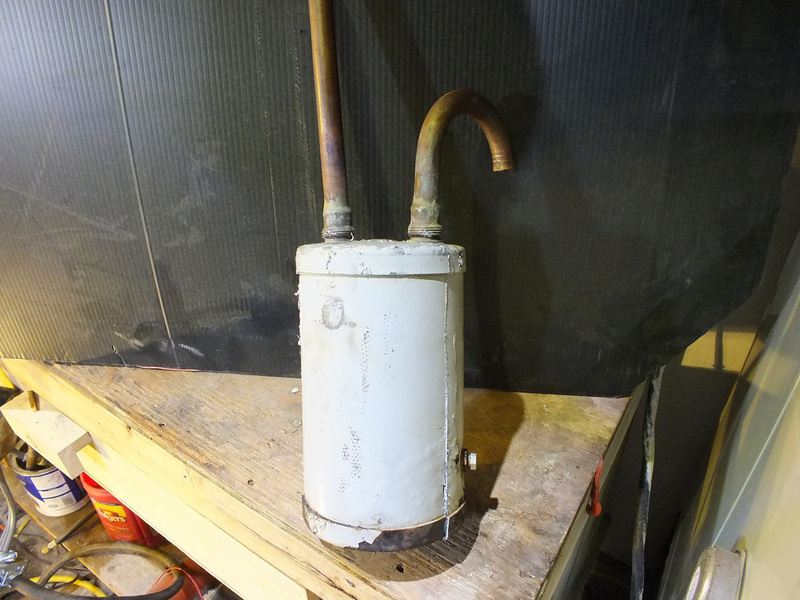 It is a tank placed between the evaporator outlet and the compressor suction line. When excess liquid comes back to the compressor, the accumulator stores the liquid refrigerant and keeps it out of the compressor inlet. However, it is more than just a tank. When refrigerant travels thru the system, oil from the compressor travels with it. This oil is mixed with the refrigerant and gathers in the accumulator. To remove this oil and return liquid refrigerant to the system when needed, the accumulator uses a u shaped pipe at the outlet. This pipe has an open end near the top of the tank. This allows it to take only gaseous refrigerant to the compressor. At the bottom of the u shaped pipe near the bottom is a small hole. This meters a small amount of liquid refrigerant and oil into the compressor suction line. Accumulators are often used in heat pumps to contain excess refrigerant when the pump is used at lower temperatures and needs less refrigerant. They are also used in freezers to adapt the unit to varying loads. The accumulator is usually sized to contain the entire refrigerant charge of the unit. Below are videos showing the function, construction and troubleshoot of the accumulator. Below is what the accumulator looks like inside. The video below give some troubleshoot tips related to the accumulator.